Mike Leinbach and I are excited to be kicking off this new project in conjunction with our forthcoming book, Bringing Columbia Home. Our research for the book over the past year and a half has involved talking to more than 100 participants in the recovery and reconstruction of Columbia. We have interviewed people from all walks of life – from the former Administrator of NASA (Sean O’Keefe), to more than a dozen astronauts, to employees of the FBI, FEMA, US and Texas Forest Services, to people like Marie “Little Granny” Nelson, a volunteer who prepared and served food for the search crews in Hemphill, Texas in February 2003. We’re amazed at how the loss and recovery of Columbia deeply touched and changed the lives of every one of the 25,000 people involved in the effort. It was an event of critical national importance. 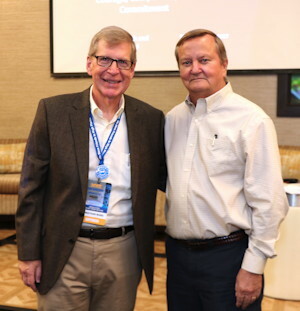 The success of the effort required extraordinary personal compassion, commitment, and courage. The loss of Columbia and her crew was an international tragedy. Equally tragic is that so many people do not know or remember the amazing work done by everyday Americans to recover Columbia. Their courage and sacrifices enabled NASA to get the space shuttle fleet flying again and continue its mission. The story of Columbia‘s recovery and reconstruction is simply too big to fit into one book. That’s why we started this blog. We hope to shine a light on the incredible events of the first half of 2003, when Americans of all backgrounds united to perform the largest land search and recovery operation in our history. Please let us know if you or one of your friends or family took part in the recovery and reconstruction. We look forward to hearing from you! There are very few subjects that would get me to write a book or participate in a blog, but finally telling the untold piece of the Space Shuttle Columbia tragedy has done it. Jonathan Ward and I are honored to finally bring it to you and the American people, who deserve to know how well the recovery and reconstruction of Columbia‘s debris went. And, more importantly, it relates how thousands of Americans from completely diverse walks of life came together for the single purpose of assisting NASA and their country in an endeavor unlike any other in history. The loss of Columbia’s seven astronaut crew members and the Orbiter itself has been documented in several books of varying styles, technical acumen, and/or retrospective insight, but the recovery of her debris and subsequent reconstruction for engineering forensic study has never been adequately documented. 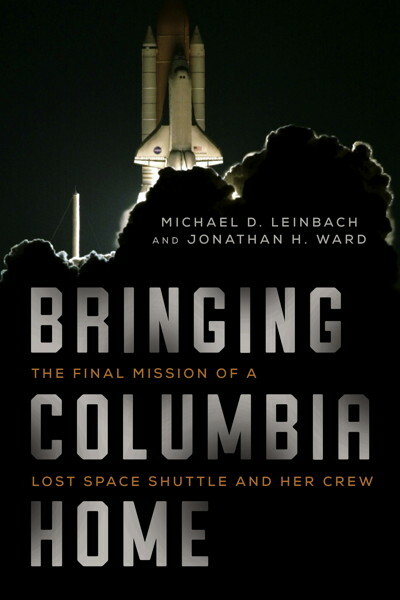 ‘Bringing Columbia Home’ will do it in detail, with the story told by those that did it. It is an integral part of the national tragedy and, interestingly, a real success story. The loss was deeply moving for those of us who were close to the astronauts and the Space Shuttle program. It also became an indelible memory for over 25,000 Americans who answered the call for help. The book will be dedicated to them. We hope it will well honor the American spirit of cooperation and compassion they brought to the effort. I saw it. I experienced it. I was part of it. It was real. Jonathan and I welcome your comments and recollections as we write the book. We have tried very hard to interview folks from all the many different organizations and “ordinary citizens” who contributed their time and hearts recovering over 84,000 pieces of Columbia from the raw fields of east Texas and those that were asked to figure out what happened to the mighty spaceship based solely on the recovered debris. The success of both groups contributed directly to NASA’s ability to get the Shuttle flying again, and safer. And that was glorious to experience. So here we go. And to the 25,000, we hope the eventual book (publication estimate December, 2017) will be one you will be proud of and can share with your families, friends, and especially your children, relating your own contribution in a way only you can. For me, I am profoundly proud to have been part of your team.